For other uses, see Finnish War (disambiguation). The Finnish War (Swedish: Finska kriget, Russian: Финляндская война, Finnish: Suomen sota) was fought between the Kingdom of Sweden and the Russian Empire from February 1808 to September 1809. As a result of the war, the eastern third of Sweden was established as the autonomous Grand Duchy of Finland within the Russian Empire. Other notable effects were the Swedish parliament's adoption of a new constitution and the establishment of the House of Bernadotte, the new Swedish royal house, in 1818. 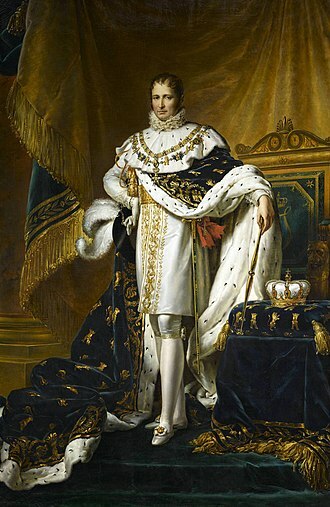 After the Russian Emperor Alexander I concluded the 1807 Treaty of Tilsit with Napoleon, Alexander, in his letter on 24 September 1807 to the Swedish King Gustav IV Adolf, informed the king that the peaceful relations between Russia and Sweden depended on Swedish agreement to abide by the limitations of the Treaty of Tilsit which in practice meant that Sweden would have been required to follow the Continental System. The king, who viewed Napoleon as the Antichrist and Britain as his ally against Napoleon's France, was apprehensive of the system's ruinous consequences for Sweden's maritime commerce. He instead entered into negotiations with Britain in order to prepare a joint attack against Denmark, whose Norwegian possessions he coveted. In the meantime, the Royal Navy attacked Copenhagen and the Anglo-Russian War (1807–1812) was declared. Referring to the treaties of 1780 and 1800, the emperor demanded that Gustav Adolf close the Baltic Sea to all foreign warships. Although he reiterated his demand on November 16, 1807, it took two months before the king responded that it was impossible to honor the previous arrangements as long as the French were in control of the major Baltic ports. King Gustav Adolf did this after securing an alliance with England on 8 February 1808. Meanwhile, on 30 December 1807 Russia announced that should Sweden not give a clear reply Russia would be forced to act. Although most Swedish officers were skeptical about their chances in fighting the larger and more experienced Russian army, Gustav Adolf had an unrealistic view of Sweden's ability to defend itself against Russia. 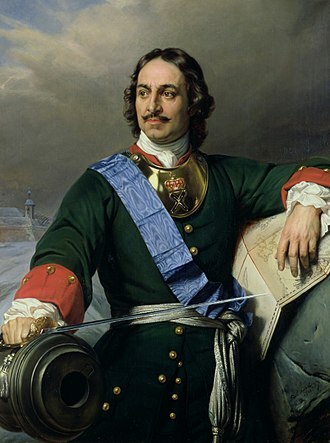 In Saint Petersburg, his stubbornness was viewed as a convenient pretext to occupy Finland, thus pushing the Russo-Swedish frontier considerably to the west of the Russian capital and safeguarding it in case of any future hostilities between the two powers. The situation was problematic for Sweden, since it once again faced both Denmark and Russia as potential enemies requiring the Swedes to split their forces. The king had thought it impossible to defend Finland should the enemy attack during the winter and chose largely to ignore the repeated warnings of the Russian threat he received in early 1808. Most of the Swedish plans assumed that warfare would be impossible during winter, disregarding the lessons from recent wars. In addition, several new good roads had been built into Finland greatly reducing the earlier dependency on naval support for any large operation in Finland. The Swedish plan was mostly based on passively defending and on holding on to the critical fortifications in southern Finland and then counterattacking with naval support in the spring and retaking the lost areas. Some advocates for taking a more active approach existed, namely Lieutenant Colonel Samuel Möller (fi) who advocated for taking an immediate offensive and Gustaf Mauritz Armfelt who supported actively delaying the advancing enemies in co-operation with the garrisons in the southern coast. In the end instructions which the new Swedish commander in Finland, General Wilhelm Mauritz Klingspor, received from the king were an unsuccessful and open-ended mixture of ideas from these very different plans. Russia had gathered a wealth of information from Finland using spies and other sources. The level of detail was so great that Russian maps of Finland were in many respects more accurate than their Swedish counterparts. The Russians used the services of General Georg Magnus Sprengtporten when forming their plans. Sprengtporten suggested going on to an offensive during the winter since Finland would be mostly isolated when seas were frozen. His ideas were further developed by General Jan Pieter van Suchtelen before General Friedrich Wilhelm von Buxhoeveden was appointed as the commander of the Russian army in Finland in December 1807. The plan involved using the series of fortifications built after 1790 as staging grounds for the Russian advances into Finland. 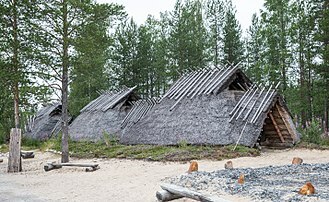 In southern Finland, armies were to isolate the fortifications and first take control of the whole of southern Finland before advancing further to the north. Forces in Savolax were to press hard against the Swedes and reach the Gulf of Bothnia towards Uleåborg and Vasa to cut off the retreat of the main body of the Swedish army. On February 21, 1808, 24,000 Russian troops under Friedrich Wilhelm von Buxhoevden crossed the border in Ahvenkoski and took the town of Lovisa. Since Klingspor had not arrived Lieutenant General Karl Nathanael af Klercker acted as Swedish commander in Finland. He was notified of the Russian invasion already on 21 February and since it was impossible to hold the predefined defense lines as the army had not yet fully assembled he ordered the army to assemble at Tavastehus. Before the engagement started Klingspor finally arrived on 2 March and assumed command. Instead of facing the Russians at Tavastehus he ordered the army to withdraw. In Savolax the Russians also forced the Swedes to withdraw. 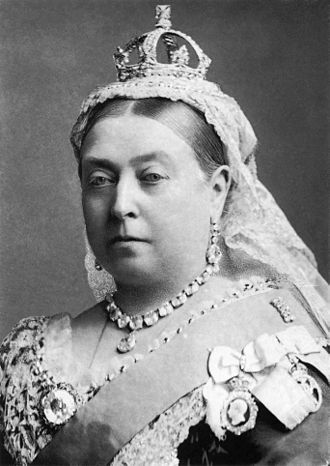 The king was quite unprepared for the attack, especially as war was not declared until April. About 21,000 Swedish troops were stationed in various fortresses in Finland, while the rest of his army was unable to leave southern Sweden for fear of Danish attack. The Russian advance was swift. On the first day of the war they had captured the town of Lovisa and besieged the Swedish seafortress of Svartholm. Borgå was captured on 24 February and Helsingfors on 2 March. Abandoned Swedish fortifications Hangö Peninsula were taken and manned on 21 March and on the same day the Russian army took Åbo while a small detachment was sent to Åland. Before the end of March 1808 even Vasa was taken. In Savolax Russians also advanced rapidly and took Kuopio on 16 March. Swedish forces had mostly just withdrawn before the advancing Russian often destroying usable materials. For example, the Swedish archipelago fleets ships that been docked in Åbo (nearly 50 gun sloops) were torched to prevent their capture. The Swedish fortress of Svartholm under command of Major Carl Magnus Gripenberg was ill-prepared for a war. 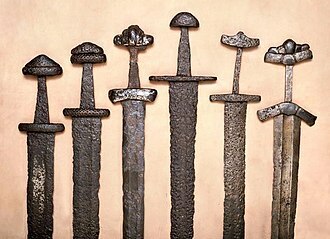 While the garrison was 700 men strong, only a third of the men had actually functioning weapons, while most of the fortress' guns had no carriages. The fortress had fallen into disrepair and lacked both adequate food and ammunition stores. 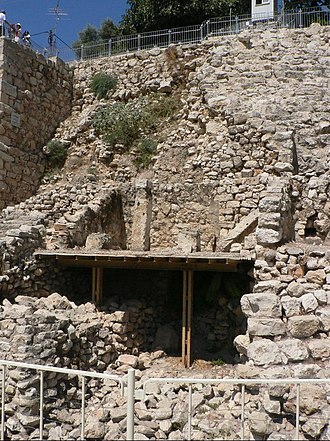 Even the wells were found to be unusable. After starting the siege on 21 February, the Russians issued a surrender demand for the fort, but this was refused by the Swedes. 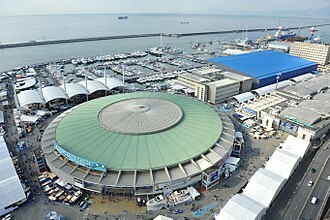 The demand was repeated on 2 March but without success. After a meager Russian bombardment, Gripenberg agreed to negotiations on 10 March. The fortress surrendered to the Russians on 18 March after a siege that had lasted roughly a month, with just one man having been wounded in action. Sveaborg under Admiral Carl Olof Cronstedt had been well prepared for the war with a garrison of 6,000 men and having over 700 cannons, and enough stores to last until the summer of 1808. Defenses were strong enough to prevent the Russians from trying to storm the fortress by surprise. Instead the Russians laid siege against Sveaborg. The fortress surrendered on 6 May 1808 after prolonged negotiations with the Russians as the commanding officer Carl Olof Cronstedt and his council believed that resistance was futile. Russians gained the main body of the Swedish archipelago fleet intact as well as large stores of supplies and munitions. The Russians had advanced considerably but they had also gained the long and vulnerable coastline with it. After the sea would be clear of ice there would be nothing to prevent Swedish forces from landing troops on the shore. With the Royal Navy supporting the Swedish battle fleet there was little the Russian battle fleet could accomplish. Capture of the main body of the Swedish archipelago fleet had resulted in a real advantage to the Russians since it allowed them to gain superiority in the narrow waters of the Finnish archipelago where large ships of the line could not operate. Even the powerful explosion at Sveaborg which destroyed several of the captured ships did little to change Russian superiority in the Finnish archipelago. The Russians utilized the guns from the burned ships, and of those which burned during the winter, and constructed several fortifications on the coast, both in Hangö as well as along narrow passages leading to Åbo. Under Colonel Carl Johan Adlercreutz the Swedish army counter-attacked at Siikajoki and began to halt the Russian offensive. Soon after at Battle of Revolax Swedish army under Colonel Johan Adam Cronstedt started the Swedish advance towards the South. These successes yielded promotion to Field Marshal to Wilhelm Mauritz Klingspor. Swedish advance was very slow however, as operations were mostly halted due to the thaw, the exception was the brigade under Colonel Johan August Sandels which swiftly advanced towards Kuopio. Nikolay Tuchkov, a Russian general who was dispatched to the north of Finland, left garrisons in every fort on his way, thus reducing his unit to 4,000 troops, which proved insufficient to pacify the hostile country. The Finns rose up in guerrilla fighting as far as Hamina (in Russian "Old Finland"). In May, the Russians suffered further setbacks when they were driven from Gotland and Åland, where a Swedish flotilla, supported by the local population, compelled the small Russian force left on the main island of Åland to surrender and then invaded the island of Kumlinge where bulk of the Russian garrison of Åland had been based. After a two-hour-long battle, the local militia, together with the Swedish landing force, overwhelmed their enemies and Colonel Vuich and his garrison were compelled to surrender. On May 26, a British fleet carrying 14 000 troops under Sir John Moore entered the port of Gothenburg but, due to various disagreements with the king, never landed and proceeded to fight the French in Spain after leaving 16 battleships and 20 other ships at Sweden's disposal. A Swedish battlefleet which had been expelling Russians from Gotland had been ordered to blockade the Hangö Peninsula and reached the cape on 10 June. Due to bad weather and bad visibility the fleet under Admiral Cedeström chose to stay relatively far from the coast. After approaching the coast on 21 June, Cedeström learned that the Russians had already passed the cape some time earlier. Attempts to stop the Russians deeper in the archipelago did not succeed either. Failure to stop the Russians led the king to relieve Cederström from his duties and replace him with Admiral Nauckhoff. Major General Eberhard Ernst von Vegesack was chosen to lead the first Swedes to Finland. 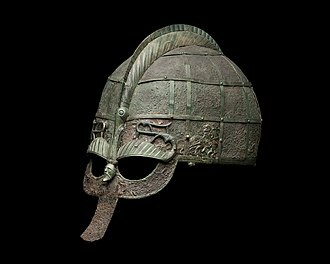 He was to lead his force of 2,600 men and land somewhere between Nystad and Åbo and then capture the latter. Von Vegesack chose to land his force at Lemu manor house just a few kilometers south of Åbo. The landing began on 19 June and was initially successful. The surprised Russians garrisoned at Åbo reacted quickly, however, and deployed over 3,000 men to stop the landing force. By the morning of 20 June, the Swedish forces were forced to withdraw. Swedish forces also performed landings near Vasa but with similar results. Colonel Johan Bergenstråhle landed 1,100 Swedes just a few kilometers north east of Vasa and managed to quickly advance to the town. Russians however managed to gather together a force of 3,000 men which managed to force the ill-trained Swedes to withdraw. Advance of the Russian coastal squadron beyond Hangö created difficulties for the Swedes. After the loss of the archipelago fleet at Sveaborg even that detachment equaled in strength the Swedish coastal forces deployed to the Finnish archipelago. To prevent Russian from gaining strength the Swedish coastal fleet's unit under Hjelmstjerna tried to engage the Russians first at battle of Rimito Kramp on 30 June and after Russians withdrew closer to Åbo at battle of Pukkisaari on 4 July. Fighting ended in a stalemate but could be understood as a Swedish failure since they failed to decisively defeat the Russians. Being alerted to the approach of additional Russian coastal units from Sveaborg, the Swedish forces moved to intercept them before they could link up with the Russian coastal unit now bottled up at Åbo. Learning that the Russians intended to go around the island of Kimito a Swedish force of gunboats was deployed to the narrows. They met the Russians first at Tallholmen on 21 July and again on 2 August in Battle of Sandöström. Swedish attempts to land troops and artillery in support of the gunboats at Vestanskär on 2 August ended in failure though the attempt came very close to capturing General Friedrich Wilhelm von Buxhoeveden. While none of the fights ended with a decisive winner, the overall strategic victory went to Russia who, by managing to link up their separate coastal units, gained advantage in the Finnish archipelago. Sweden performed several small landings along the coast near Kristinestad and Kaskö and managed to raise local men to oppose the Russians. 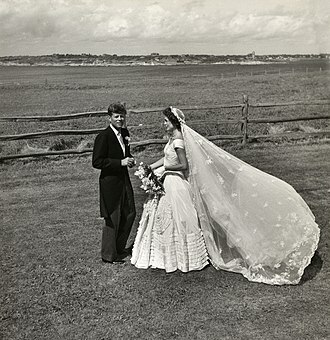 The first took place on 3 July with several others taking place soon after. Altogether the Swedes had several hundred local men in arms. However, the Russians were able to send reinforcements to the area which were, in addition to being numerically superior, both far better trained and equipped than the peasants and militia the Swedes had raised. By the end of July the small forces Sweden had landed and the men that had supported them were either beaten or withdrawn back to their ships. After the Russians were driven from Central Finland, their forces stretched along the line of Pori — Tampere — Mikkeli. Having received considerable reinforcements, their numbers increased to 55,000, as opposed to the 36,000 their opponents had. On August 14, Count Nikolay Kamensky decided to use this numerical superiority to launch a new offensive. Although Georg Carl von Döbeln won the Battle of Jutas for Sweden on September 13, Kamensky's 11,000-strong corps achieved more important victories at Kuortane on September 1, at Salmi on September 2, and at Oravais on September 14. Swedish attempts to land troops near Turku were stalled by Bagration's prompt actions. In Eastern Finland, the guerrilla movement was gradually extinguished. As a consequence, Russia's situation in Southern Finland improved significantly. In the north, the situation was more complicated. Tuchkov's battered unit strained to hold its own against Sandels, while the progress of a relief force under General Alekseyev was contained by guerrilla fighters. It was not until September 26 that Prince Dolgorukov (Alekseyev's replacement) managed to join his forces with Tuchkov, inducing Sandels to retreat. Three days later, Buxhoevden — pressed by the early onset of winter weather — signed an armistice, much to the dismay of Alexander. The emperor refused to ratify the truce and replaced Buxhoevden with a new commander-in-chief, Bogdan von Knorring, in December of the same year. In the south, the Swedish battle fleet remained anchored within the Finnish archipelago, blocking some of the deeper coastal sea routes from Hangö towards Åbo. Russian ships continued to arrive from the east but remained within the shallow narrows where the Swedish ships of the line could not reach. Small boat actions took place during the night time of 17–18 July which became known as the skirmish at Lövö (Finnish: Lövön kahakka). However, the Swedish fleet dropped its blockade on 22 August, allowing Russian coastal units to join up. Odds were very much against the Swedes as the Russians had nearly one hundred coastal ships in the Finnish archipelago against which Sweden could deploy only 7 galleys and 30 gun sloops. Swedish efforts to harass the Russians with landings continued, with roughly 1,000 volunteers under Captain Anders Gyllenbögel landing on 1 August to support Swedish-led uprisings on the coast south of Vasa. The landing succeeded, and together with Swedish troops advancing from the north managed to drive the Russians towards Björneborg. Swedish patrol ships (consisting of armed merchant vessels) scouted and raided the coast, taking Russians prisoner to Åland. These raids caused much confusion, and Russian responses to them thinned their strength along the coast. Also the Swedish southern army of Finland, consisting of roughly 4,000 men under Major General von Vegesack, was moved from Åland to Finland, and landed at Kristinestad in late autumn, joining with Georg Carl von Döbeln's forces. 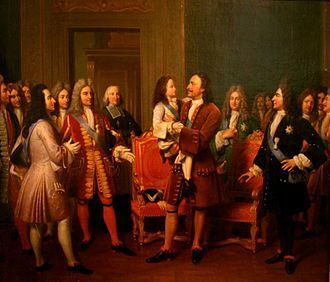 However, since von Vegesack had been ordered to land his men at Björneborg, the king after pursuing the matter unsuccessfully in military tribunals condemned von Vegesack to lose his rank and title. A Russian battle fleet under Admiral Pyotr Khanikov (also Chanikoff) sortied in late July to clear the Swedish blockades in the archipelago, to cut contact between Åland and Sweden, and to stop Swedish supply transports sailing in the Gulf of Bothnia. The Russian fleet reached Hangö on 6 August and chose not to engage the scattered Swedish fleet elements in the vicinity. On 20 August, two Royal Navy ships of the line (HMS Implacable and HMS Centaur) joined the Swedish fleet. The allied fleet moved on 25 August 1808 to engage the Russian fleet, which turned and attempted to reach the relative safety of Baltiyskiy Port. The British ships were far superior sailing ships compared to either the Swedes or Russians, and engaged on their own the withdrawing Russian squadron of nine ships of the line and several frigates. The last of the Russian ships of the line was disabled and then captured and burned by the British ships. More Royal Navy ships (including HMS Victory, HMS Mars, HMS Goliath and HMS Africa) arrived to oversee the blockade of the Russian fleet at Baltiyskiy Port which continued until the sea started to freeze. The Swedish fleet suffered from outbreaks of scurvy and was unable to maintain the blockade on its own. Skirmishes and landings continued in the Finnish archipelago even later in the autumn. On 30 August, the Swedish coastal fleet defeated its Russian adversaries at the battle of Grönvikssund, forcing the Russians to abandon their plans to invade Åland, and making them concentrate on defense. On 17 September, the Swedes landed again, this time at Lokalax, while the coastal fleet covering the landing managed to keep the Russians away in the battle of Palva Sund on 18 September. The troops landed were forced with withdraw to their ships on 18 September, but were landed in Finland again on 26 September. However, only a portion of the troops intended for the landing actually reached the Finnish coast, owing to bad weather, and the landing resulted in another withdrawal on 28 September. The Swedish situation was further weakened by being at war with France and Denmark, both of whom threatened Sweden's possessions, with a joint invasion force of 45,000 troops in Denmark (under French general Jean-Baptiste Bernadotte) and a further 36,000 in Norway. This forced the Swedes to allocate forces to southern Sweden and along the Norwegian border (23,000 troops). Denmark had declared war on Sweden on March 14 but no serious hostilities occurred, except for a series of inconclusive minor skirmishes along the Norwegian border, as in April the situation in Spain started to increasingly require Napoleon's attention, and as the British navy remained a continuous threat for troop movements between Denmark and Sweden. By that time, Russian forces had overrun all of Finland. On November 19, the Convention of Olkijoki was signed and the Swedish army was forced to leave the country. The emperor was, however, now eager to bring hostilities to the territory of Sweden proper, which was certain to bring the war to a victorious end. With these reasons in mind, Kamensky suggested a daring plan, whereby the Russian army was to cross the frozen Gulf of Bothnia in two directions: one unit was to march from Vaasa towards Umeå and another from Turku to the Åland Islands and thence towards the vicinity of Stockholm. A third unit was to advance on Tornio and arrive in Sweden by land. Although Knorring was urged to execute the plan as quickly as possible, he regarded the idea as unrealistic and procrastinated until March, when the emperor dispatched the War Minister Arakcheyev to Finland in order to pressure Knorring into action before arriving at the army himself. As Russian forces embarked upon their unprecedented march across the frozen Baltic on March 13, King Gustav IV — accused of fatal mistakes leading to the loss of Finland — was dethroned in Stockholm and his uncle was proclaimed Charles XIII of Sweden. Four days later, Bagration's corps of 17,000 men occupied the strategic Åland Islands, while Kulnev led the vanguard further across the frozen sea and on March 19 reached the Swedish shore within 70 km from Stockholm. When news of Kulnev's incursion spread to the Swedish capital, the new king sent an embassy to Knorring, proposing a truce. The Russian commander agreed and speedily recalled Kulnev back to Åland. In the meantime, another Russian contingent — 5,000 men under Barclay de Tolly — endured great hardships in crossing the frozen gulf further north: they entered Umeå on March 24. A third force, commanded by Count Shuvalov [ru], struck against Tornio and, braving fierce frost, encircled a Swedish army, which capitulated on March 25. Six days later, the czar arrived in Turku and, on learning about the truce, not only revoked Knorring's signature but named Barclay de Tolly new Commander-in-Chief. Hostilities thus continued until May, when Shuvalov finally reached Umeå, where he was succeeded by Kamensky. In August, Charles XIII, anxious to reach a better peace settlement, ordered Sandels to land in the north of Sweden and to attack Kamensky's rear. The last engagements of the war, at Sävar and Ratan, proved inconclusive and Kamensky succeeded in neutralizing this belated counter-offensive. A Royal Navy fleet under Admiral Saumarez arrived already in May to Sweden and concentrated his ships, 10 ship of the line and 17 smaller ships, to the Gulf of Finland. The presence of the British naval units kept the Russian battlefleet strictly confined to Kronstadt and after the British constructed artillery batteries to Porkkala cape they cut off the coastal sea route from Russian ships. Total British control of the Gulf of Finland was a heavy burden for Russian supply network and required sizable garrisons to be posted all along the Finnish coast. The Royal Navy captured altogether 35 Russian ships and burnt 20 others before leaving the Baltic Sea on 28 September 1809. Sandels's action was only a prelude to the peace negotiations that opened in August and resulted in the Treaty of Fredrikshamn (September 17), in which Sweden ceded the whole of Finland and all of its domains east of the Torne River (the north-eastern parts of what was then called Västerbotten today Norrbottens län) to Russia. Sweden closed its harbours to British ships and joined the Continental System, leading to the formal declaration of war on Great Britain. A few months later, on January 6, 1810, the Russian government mediated the Treaty of Paris between Sweden and France. 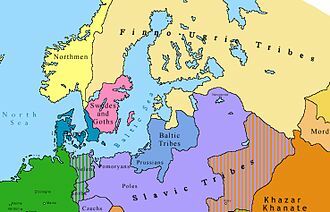 Russia would attach areas ceded earlier during the 18th century by Sweden to the newly formed Grand Duchy of Finland including so-called Old Finland. The Grand Duchy of Finland was to retain the Gustavian constitution of 1772 with only slight modifications until 1919. Almost all Finnish soldiers in Sweden (most of them in the Umeå area) were repatriated after the war. Sufficient stocks of supplies had not been prepared for the army, since the King Gustaf IV Adolf thought it might be taken as provocation by the Russians. Furthermore, Swedish strategy relied on the outdated plans for Finland which took into account neither the advances in weaponry, mobility of the armed forces or the greatly improved road networks of Finland. Most of the fortifications in Finland had not been completed and those that were completed had mostly fallen into neglect and disrepair. 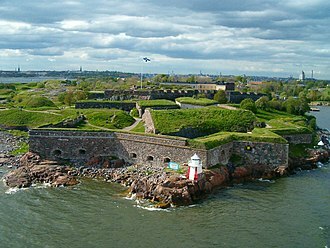 Even the strongest of the Swedish fortresses, Sveaborg, still had several of its planned fortifications missing, most notably all the land side fortifications designed to protect against besieging enemy. In 1808 a British expeditionary force under John Moore arrived in Sweden, but after months of idleness departed for the beginning of what became known as the Peninsular War. Had the king accepted the landing of 10,000 British troops in Skåne, where the expeditionary force had been authorized to disembark, it would have enabled the Swedes to release at least 10,000 trained soldiers for the Finnish War. As it happened, the bulk of the Swedish army, including the best units, were kept out of the Finnish War by the king, who reserved them for his plans for conquering either Sjælland or Norway. Swedish landings were invariably made with poorly equipped and trained forces, often with troops who had very low morale. Landings were further complicated by the Swedish Navy's failure to tightly block the coastal sea route past Hangö. The 200th anniversary of the Finnish War was recently selected as the main motif for a high value commemorative coin, the €100 200th Anniversary of Finnish War commemorative coin, minted in 2008. The motif on the coin is the passage from Sweden to Russia. The same coin depicts both Finnish history, with the withdrawing crown on the reverse side as well as the future of the country, with the eagle symbol on the obverse side. In memory of the 200th anniversary of the Finnish War, all Swedish 1 krona coins minted during 2009 featured a stylised depiction of the sky and the sea on the reverse side, flanked by a quote by Anton Rosell: Den underbara sagan om ett land på andra sidan hafvet ("The wonderful story of a land on the other side of the sea"). According to two 2015 studies by political scientists Jan Teorell and Bo Rothstein, Sweden's loss in the Finnish War led to reforms of the Swedish bureaucracy. Prior to 1809, Sweden had a reputation as one of Europe's most corrupt countries, but the loss in the war created the perception of an existential threat in the East for Sweden and motivated Swedish elites to reform its bureaucracy. The motivation behind the reforms were to make the Swedish state more effective and functional, and thus protect against the existential threat in the East. ^ Mattila (1983), p. 222. ^ Mattila (1983), p. 223-225. ^ Mattila (1983), p. 223-226. ^ Mattila (1983), p. 226-230. ^ Mattila (1983), p. 228-230. ^ "Southern Towns Mark War of Finland Bicentennial". Yle News. 21 February 2008. Retrieved 1 September 2017. ^ a b Mattila (1983), p. 234-235. ^ Mattila (1983), p. 232,235-238. ^ Mattila (1983), p. 232-233,238-244. ^ Mattila (1983), p. 245-248. ^ Mattila (1983), p. 256-258. ^ Mattila (1983), p. 258-262. ^ Mattila (1983), p. 262-264. ^ Mattila (1983), p. 266-269. ^ Mattila (1983), p. 270-276. ^ Mattila (1983), p. 279-280. ^ Mattila (1983), p. 277-279. ^ Mattila (1983), p. 281-283. ^ Mattila (1983), p. 284-287. ^ Mattila (1983), p. 287-298. ^ Mattila (1983), p. 308-309. ^ Mattila (1983), p. 225,230,249,311. ^ Mattila (1983), p. 311-312. ^ a b c Teorell, Jan; Rothstein, Bo (2015-09-01). "Getting to Sweden, Part I: War and Malfeasance, 1720–1850". Scandinavian Political Studies. 38 (3): 217–237. doi:10.1111/1467-9477.12047. ISSN 1467-9477. ^ a b c Rothstein, Bo; Teorell, Jan (2015-09-01). "Getting to Sweden, Part II: Breaking with Corruption in the Nineteenth Century". Scandinavian Political Studies. 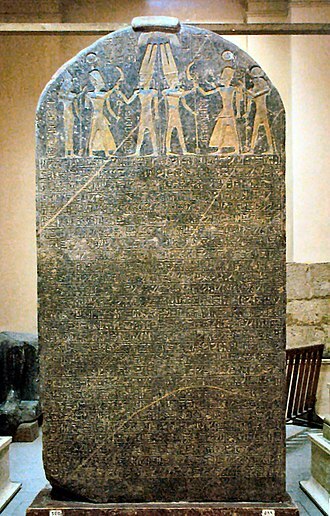 38 (3): 238–254. doi:10.1111/1467-9477.12048. ISSN 1467-9477. Nordling, Carl. "Capturing ‘The Gibraltar of the North:’How Swedish Sveaborg was taken by the Russians in 1808." Journal of Slavic Military Studies 17#4 (2004): 715-725. Mattila, Tapani (1983). Meri maamme turvana [Sea safeguarding our country] (in Finnish). Jyväskylä: K. J. Gummerus Osakeyhtiö. ISBN 978-951-99487-0-6. Norbert Götz. “The Good Plumpuddings’ Belief: British Voluntary Aid to Sweden During the Napoleonic Wars.” International History Review 37 (2015) 3: 519–539. Wikimedia Commons has media related to Finnish War. The Treaty of Fredrikshamn or the Treaty of Hamina was a peace treaty concluded between Sweden and Russia on 17 September 1809. The treaty concluded the Finnish War and was signed in the Finnish town of Hamina, Russia was represented by Nikolai Rumyantsev and David Alopaeus, while Sweden by Infantry General Kurt von Stedingk and Colonel Anders Fredrik Skjöldebrand. According to the treaty Sweden ceded parts of the provinces Lappland and Västerbotten, Åland, a reference to Emperor Alexanders promise to retain old laws and privileges in Finland was included, but the treaty overstepped any formal guarantees of the legal position of Finlands inhabitants. The Russians refused, and the Swedes were not in a position to insist, similar clauses had been common in peace treaties, but they were regularly circumvented. During the negotiations, Swedish representatives had namely endeavoured to escape the loss of the Åland islands, the Åland islands were culturally and linguistically purely Swedish, but such facts were of no significance at that time. Prince Michael Andreas Barclay de Tolly was a Russian Field Marshal and Minister of War during Napoleons invasion in 1812 and War of the Sixth Coalition. Barclay implemented a number of reforms during this time that improved supply system in the army, doubled the number of army troops and he was the Governor-General of Finland. He was born in a German-speaking noble family from Livonia that were members of the Scottish Clan Barclay and his father was the first of his family to be accepted into the Russian nobility. Barclay joined the Imperial Russian Army at an age in 1776. 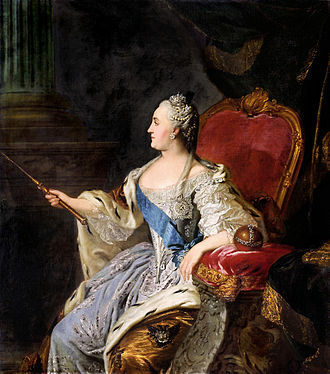 For his role in the capture of Ochakov in 1788 from the Ottomans, afterwards he participated in Catherine IIs Swedish War. In 1794, he took part in putting down the Kościuszko Uprising in Poland and was decorated for role in the capture of Vilnius. In 1806, Barclay began commanding in the Napoleonic Wars, distinguishing himself at the Battle of Pułtusk that same year and he was wounded at the Battle of Eylau in 1807 while his troops were covering the retreat of the Russian army. Because of his wounds, he was forced to leave command, the following year, he carried out successful operations in the Finnish War against Sweden. Barclay led a number of Russian troops approximately 100km across the frozen Gulf of Bothnia in winter during a snowstorm. For his accomplishments, Barclay de Tolly was appointed Governor-General of Grand Duchy of Finland, from 20 January 1810 to September 1812 he was the Minister of War of the Russian Empire. When the French invasion of Russia began in 1812, Barclay de Tolly was commander of the 1st Army of the West, Barclay was appointed Commander-in-Chief and initiated a scorched earth policy from the beginning of the campaign, though this made him unpopular among Russians. However, Kutuzov continued the scorched earth retreat up to Moscow where the Battle of Borodino took place nearby. 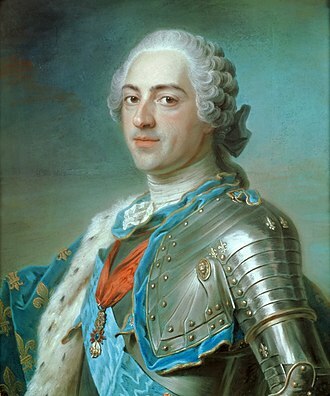 Barclay commanded the wing and center of the Russian army for the battle. After Napoleons retreat, the success of Barclays tactics made him a hero among Russians. Carl Johan Adlercreutz was a Swedish general and statesman, born in Borgå, Finland on family estates. Entering the Swedish army aged 13 in the Finnish Light Cavalry Brigade and he studied military theory in Stockholm. In 1777 he joined the Savolax Brigade protecting the Finnish border against Russian aggression, Adlercreutz first saw action in the 1788-1790 Russo-Swedish War, where he distinguished himself. He was promoted Major in 1791 and Squadron Commander 1792, during the Anjala mutiny he remained faithful to the King, standing against the war with Russia, took part in the trials against the conspirators. He was thereafter appointed the officer of the Nyland Dragoons, holding this post until 1804. At the opening of the Finnish war Adlercreutz was appointed Ofverste commanding the 2nd brigade under Klercker and he replaced Gustaf Löwenhielm as Wilhelm Mauritz Klingspor’s Chief of Staff on 14 April. Adlercreutz distinguished himself in action at Siikajoki,18 April, and at Revolax, on 24 June he forced the Russians from Nykarleby. As CO of the Northern ‘Army’ he drove Raevsky from Lappo in a brilliant action on 14 July, at the end of that month he was appointed to command the ‘Finnish’ Division under Klingspor. Forced to retreat due to the Swedish victories not being exploited, he was defeated by Nikolay Kamensky at the Battle of Oravais 14 September. 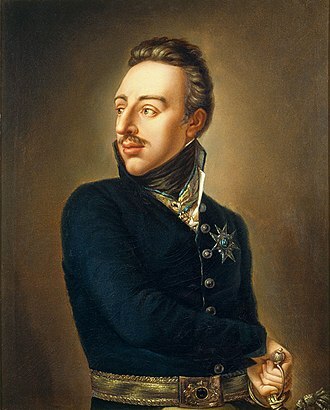 As a consequence of the loss of Finland his estates were confiscated, Adlercreutz returned to Stockholm to take charge of a military junta ruling the country in place of the insane King Gustav IV after the Coup of 1809. 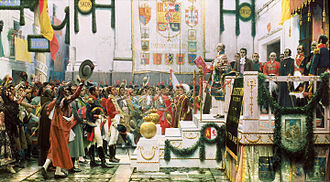 With Georg Adlersparre, on 13 March 1809 at the head of the Junta he arrested the King, Adlercreutz proposed that he himself should be made king, but the French General Bernadotte was chosen instead as Crown Prince Charles XIII. 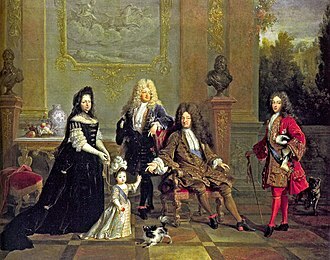 Later the two quarreled, and Adlersparre was disgraced, while Adlercreutz remained in favor, elected Count. In 1813 Adlercreutz was made General and appointed Chief of Staff to Curt von Stedingk under the Crown Princes Swedish Army of the North in Germany 1813. 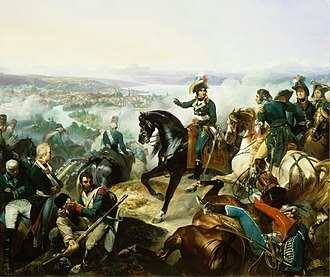 The Franco-Swedish War or Pomeranian War was the first involvement by Sweden in the Napoleonic Wars. The country joined the Third Coalition in an effort to defeat France under Napoleon Bonaparte, in 1803 Britain had declared war on France, at this time Sweden had remained neutral together with the Nordic countries Denmark–Norway and Prussia. Russia promised Sweden that 40,000 men would come to the aid of the if it was threatened by French forces. So on 9 August 1805 Sweden joined the Third Coalition and declared war on France on 31 October, in the beginning of November 1805, a combined British and Swedish force of about 12,000 men were sent from Swedish Pomerania to liberate French-held Hanover. 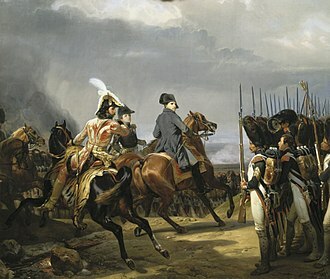 The offensive against Hanover was repeatedly delayed because of Prussias partial reluctance that the Swedes, however, in December 1805, after the battle of Austerlitz, the British and the Russian forces started to evacuate Hanover, leaving only a small Swedish force alone to face the French. In April 1806, the Swedes were forced to back to Swedish Pomerania after an agreement had been concluded between Prussia and France. But during the summer of 1806 Prussia formed the Fourth Coalition against France, but during the autumn, the French forces advanced rapidly and soon much of the western German regions were occupied, this forced the Swedish troops on a retreat towards Lübeck. The plan was that the troops there could take the sea route to Stralsund in order to avoid the advancing French forces. 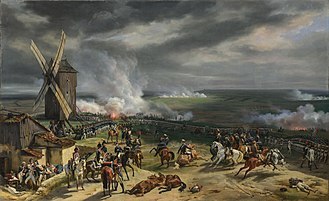 The French army began their offensive towards Swedish Pomerania in early 1807 and this was the beginning of a seven-month-long siege, and since the French forces were engaged in warfare elsewhere this increasingly reduced the number of troops stationed around Stralsund. When the Swedes were reinforced on 1 April it was decided that they would attempt to break the siege and this was done with some success since the Swedes managed to take Usedom and Wolin. But the French chose to counterattack, and a force of 13,000 men attacked the Swedes from Stettin on 16 April and this forced the left section of the Swedish army to withdraw, and another division in Ueckermünde was cut off and captured. On 18 April and Sweden agreed on a ceasefire according to which the French were to leave Pomerania, the Swedish government refused to join the Continental System and denounced the armistice under the influence of British diplomacy on 8 July. On 6 August 1807,50,000 French and Dutch troops under Marshal Guillaume-Marie-Anne Brune began an assault on Swedish Pomerania, on 20 August 1807, the defenders of the city capitulated and the remains of the Swedish army was surrounded at Rügen. The Franco-Russian Treaty of Tilsit left Britain and Sweden without other allies in the war against France, on 21 February 1808, Russia joined the war against Sweden by invading Finland and on 14 March the same year, Denmark-Norway declared war on Sweden. Danish and French-Spanish troops began preparations for an invasion of Skåne in Sweden, but the plan was aborted. Sir John Moores expedition sent by the British government to protect Sweden from possible French-Danish attack arrived on 3 May 1808 and stayed until July when it was redirected to Portugal. The fortress of Ladoga was built in stone in the 12th century and rebuilt 400 years later. Oreshek, one of fortresses built by the Novgorodians to contain the Swedish expansion. Döbeln at Jutas by Albert Edelfelt. War memorial of Battle of Sävar. Olaus Magnus included the Viborg blast in his 1536 Carta marina.